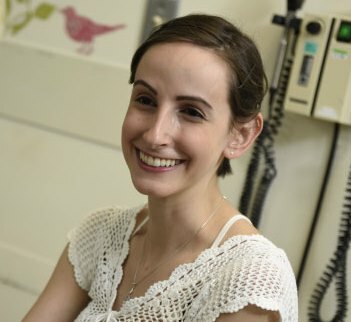 For patients, like Stefany Dupont, who are extremely sick with leukemia and out of options, CAR-T cell therapy offers hopeResearchers at The Ottawa Hospital and the University of Ottawa are known around the world for their expertise in designing and leading clinical trials, and they're now applying this knowledge to create a made-in-Canada approach for CAR-T cell clinical trials. CAR-T therapy uses a patient's own genetically engineered immune cells to attack their cancer. The project involves a big team, including Drs. Natasha Kekre, Harold Atkins, John Bell, Dean Fergusson, Manoj Lalu and others. Patients have also been involved in the project from the very beginning. Learn more about the process for designing the trial, one of the patients who inspired it and some of the funding behind it. You can also check out recent interviews with Drs. Natasha Kekre and John Bell. The trial is expected to start later this year. Funding: Organizations such as BioCanRx, the Canada Foundation for Innovation and the Government of Ontario have supported The Ottawa Hospital’s CAR-T research program and the Biotherapeutics Manufacturing Centre, but additional funding is essential to make this program a reality. The Ottawa Hospital Foundation is raising money for cancer research like this, that is revolutionizing the care we provide patients.